The weekend is young and the television schedule is packed. No, really. Most of the racing coverage over the next two days is on delay, but fear not—between the 30th Annual Lucas Oil Chili Bowl Nationals, Monster Energy Supercross and the conclusion of the Dakar Rally, there will be no shortage of entertainment. Supercross kicked off its new season in Anaheim, California last weekend with plenty of drama, including beatdowns by bike and by fist. Jason Anderson won the opener, while two other riders—Weston Peick and Vince Friese—got into a fairly one-sided brawl after a semifinal wreck. In addition to a disqualification in Anaheim, officials issued Peick both a fine and one-race suspension. Both the Dakar Rally and the Chili Bowl Nationals wrap up on Saturday, with several hours of live Chili Bowl coverage on MAVTV that evening. (If you don’t get the channel, apologies in advance.) There’s a paid Chili Bowl stream online, but its coverage will end after the D-Mains on Saturday. 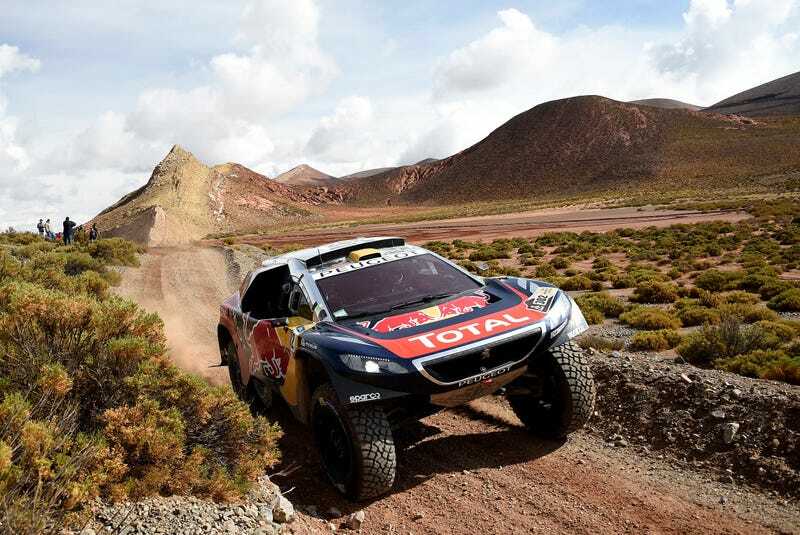 As for Dakar, footage from select stages will air over the weekend. For those wanting to keep up with the live proceedings, the Dakar Rally website provides timing and scoring updates here. The rest of the weekend is on tape delay, but showings include the Monster Jam, Monster Energy Supercross from Anaheim, Red Bull X-Fighters, the American Sprint Car Series, AMSOIL Arenacross, the Lucas Oil Modified Series, the Lucas Oil Late Model Dirt Series and the Lucas Oil Off-Road Racing Series. Whether you’re into the 14-day rallies or the indoor racing on a 1/4-mile oval (or both), enjoy the weekend. If you know of any other streams or events over the next couple of days, never hesitate to let us know in the comments below.